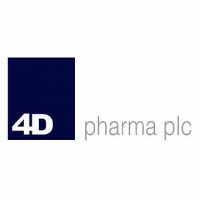 Shares of 4d Pharma PLC with company EPIC: LON:DDDD has risen 4.35% or 7.4 points during today’s session so far. Investors have stayed positive during the trading session. The period high has peaked at 177.4 and a low of 164.88. The total volume of shares exchanged through this period comes to 134 whilst the daily average number of shares exchanged is just 124,270. The stock 52 week high is 467 some 297 points in difference on the previous days close and a 52 week low being 114 which is a variance of 56 points. 4d Pharma PLC has a 20 SMA of 207.34 with a 50 day moving average now at 169.72. The market cap now stands at £110.04m at the time of this report. All share prices mentioned for this stock are traded in GBX. Mcap is measured in GBP. This article was written with the last trade for 4d Pharma PLC being recorded at Monday, July 23, 2018 at 11:38:16 AM GMT with the stock price trading at 177.4 GBX. The share price for Ab Dynamics PLC company symbol: LON:ABDP has stepped up 3.8% or 45 points during the course of today’s session so far. Buyers have stayed positive during the session. The periods high figure was 1230 meanwhile the session low reached 1181.55. The total volume traded so far comes to 3,532 whilst the average number of shares exchanged is 25,386. A 52 week high for the stock is 1365 some 180 points different to the previous business close and a 52 week low sitting at 567.5 is a variance of 617.5 points. Ab Dynamics PLC now has a 20 SMA of 1269.56 and now a 50 day moving average now at 1163.38. The market capitalisation currently stands at £238.78m at the time of this report. The currency for this stock is GBX. Market cap is measured in GBP. This article was written with the last trade for Ab Dynamics PLC being recorded at Monday, July 23, 2018 at 12:10:05 PM GMT with the stock price trading at 1230 GBX. The share price for Associated British Foods plc found using EPIC: LON:ABF has gained 1.04% or 25 points during the course of today’s session so far. Investors have stayed positive during the trading session. The periods high figure was 2437 meanwhile the session low reached 2401. The total volume traded so far comes to 422,229 with the daily average number around 1,562,366. The 52 week high for the shares is 3387 some 978 points in difference to the previous days close of business and a 52 week low sitting at 2378 which is a difference of 31 points. Associated British Foods plc now has a 20 moving average of 2623.05 and also a 50 day moving average at 2698.55. Market capitalisation for the company is £19,285.34m at the time of this report. The currency for this stock is GBX. Market cap is measured in GBP. This article was written with the last trade for Associated British Foods plc being recorded at Monday, July 23, 2018 at 1:16:55 PM GMT with the stock price trading at 2434 GBX. Stock in BT Group – CLASS A Common Stock found using EPIC: LON:BT.A has increased 1.83% or 4.01 points during today’s session so far. Market buyers have so far held a positive outlook while the stock has been in play. The period high has peaked at 223.7 while the low for the session was 217.7. The total volume traded so far comes to 37,143,077 with the daily average at 32,529,551. The 52 week high price for the shares is 317.9 amounting to 98.45 points difference from the previous days close and the 52 week low at 201.25 is a variance of 18.2 points. BT Group – CLASS A Common Stock has a 20 SMA of 224.6 and a 50 day MA at 215.91. This puts the market cap at £21,989.43m at the time of this report. The currency for this stock is GBX. Market cap is measured in GBP. This article was written with the last trade for BT Group – CLASS A Common Stock being recorded at Monday, July 23, 2018 at 1:18:48 PM GMT with the stock price trading at 223.46 GBX. Click ABDP ABF BT.A DDDD for the full archive.